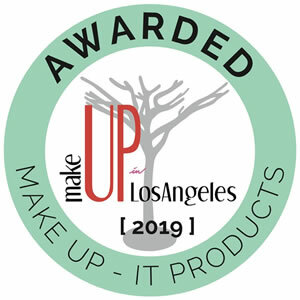 Don’t miss MakeUp in LosAngeles’s Innovation Tree, which spotlights key innovations in terms of ingredients, textures and formulas. The Tree will display innovations selected from 78 amazing products submitted by 42 of the show’s exhibitors. Charles-Emmanuel Gounod, Founder of the consulting firm Beautyworld Connexions, expert in Beauty areas such as fragrance creation, make up design and cosmetic packaging development. Beautyworld Connexions’ mission is to connect people & business throughout the world. Christine Chostakoff, Founder of La Cosméteuse, cosmetologist with 20 years of expériences in R & D in the industry, created 10 years ago the agency «La Cosméteuse » specialized in consulting, creation and training in natural cosmetics. Daniel Saclier, Founder of My ID Consult, agency specialized in cosmetics products innovation in to the beauty and luxury environment. His agency is dedicated in answering a global value product offer. Dany Sanz: Founder of Make Up for Ever, a truly generous artist, eager to share her knowledge and communicate her passion, she rapidly achieved such a cult-like status in professional make-circles, that she was emboldened enough to create her own brand. Florence Bernardin, Founder of Information & Inspiration, agency specialised in benchmarking and tracking of cosmetics markets in Asia. She and her team analyse all aspects of all the products from the most dynamic markets to determine trends, innovations, evolutions and other. Hélène Aubier: Founder of DreamBig Consulting & Head of Cosmetics at Rouje. Hélène launched last December the new cosmetic line “Le Rouje de Paris” for the French influencer Jeanne Damas (1MM followers). Luisa Oliva, International Consultant and Formulation Designer. 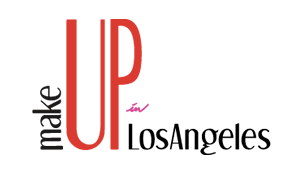 She collaborates with companies to create make-up formulas. She also teaches in Master degrees and organises cosmetic trends technical analysis workshops.